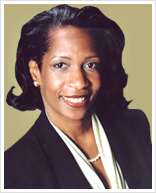 Professionally, Cheryl A. Pemberton has over twenty years of diverse experience that includes experience in the political arena, providing consulting services to community development corporations throughout the country, with Local Initiatives Support Corporation, managing operational audits, of multi-million dollar public/private/nonprofit organizations with the New York City Comptroller’s Office; and establishing non profit organizations in Brooklyn and Manhattan. She is currently the Director of Volunteer Recruitment and Administration at Lighthouse International and the Change Officer at MSBPhilanthropy Advisors. Cheryl Pemberton received her Bachelor of Science in Business Administration from SUNY @ Albany and received her Master of Public Administration from Bernard Baruch College and is a National Urban Fellow. She can be reached at cpemberton@fivepearlsfoundation.org. 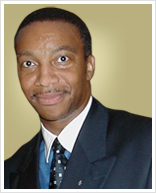 Mr. Davis has had an extensive career as an accountant and financial analyst in both corporate and nonprofit organizations. 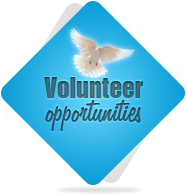 He has worked as an Assistant Controller of Cancer Care Inc., Mr. Davis has also been a consultant to various non-profit such Women In Need. Mr. Davis has held Senior Finance positions at NBC Cable Networks and News Corporation. As a member of Phi Beta Sigma Fraternity, Inc. Mr. Davis has served in many positions including Chapter President, Chapter Treasurer, Financial Secretary, Audit Committee Chairman of Epsilon Sigma, has also served as the Eastern Regional Treasurer of Phi Beta Sigma Fraternity, Inc. Mr. Davis holds a Bachelor of Science in accounting from the New York Institute of Technology. He can be reached at rdavis@fivepearlsfoundation.org. Ms. LaDay is the Director of Corporate Strategy & Development at Wimba Inc.; where she works on a variety of transactions in all stages, including partnering and M&A, from deal sourcing and processing to closing. Her career has also included experience in competitive intelligence for EMC and product marketing for Symantec. In addition to the Five Pearls Foundation, Ms. LaDay is an active member of Zeta Phi Beta Sorority, Inc. where serves as president of Sigma Nu Zeta Chapter. Ms. LaDay also serves as a trustee for the Helene Fuld College of Nursing in New York City. Ms. LaDay graduated from Texas A&M University with a Bachelor of Science in Computer Science and from Columbia Business School with a Masters in Business Administration She can be reached at sladay@fivepearlsfoundation.org. Ms. Ahmed is currently a Senior Analyst at American Express, where she is engaged in innovative marketing developments and strategic growth initiatives within the US Conusumer Services organization. Her career at American Express also included a stint as a Financial Analyst supporting regional pricing organizations in the Global Commercial Card business where she provided consultative pricing support to promote accuracy in P&L margins in client deals. 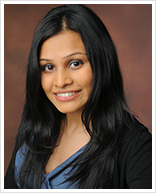 Prior to her experience at American Express, Ms. Ahmed worked at JPMorgan Chase in the Treasury & Securities Finance group for several years,managing top-tier broker dealer relationships and developing risk reporting tools to identify critical insights across the international securities lending portfolio. Ms. Ahmed holds joint Bachelor of Arts and Master of Arts degrees in economics (finance concentration) from CUNY-Queens College and The City College of New York. 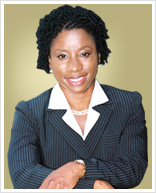 She also holds advanced graduate certification in Financial Analysis, Banking, and Finance from New York University. She can be reached at sahmed@fivepearlsfoundation.org. Ms. Rissing has a distinguished 20 year career in law enforcement. She is a graduate of Lincoln University where she received a bachelor of arts in English. She is a member of Zeta Phi Beta Sorority, Inc. She is currently the President of Zeta Phi Beta Sorority, Inc. Sigma Nu Zeta Chapter in New York. John C. Graves, Esq., is a civil attorney in private practice as well as an experienced sports attorney with over ten years in the sports industry. He is the CEO of Profile Sports Consultants and a sports law professor at Seton Hall Law School.He received his Bachelor of Arts from The City College of New York, and received his Juris Doctor from St. John’s University.